WHAT I'VE BEEN WATCHING RECENTLY | RAWR BOWS. There's nothing better than getting home after a very long and exhausting day, taking a shower, grabbing something to eat and put on your favourite TV show. Recently I have been branching out a bit and discovering new shows - ya know, gotta keep it fun. Some of these shows have bene running for a while but I've just got into them, and some others are fairly new. But they are all equally amazing and addictive so be warned you will want to watch more than one episode at a time. Where do I even start with Scandal. It's got me HOOKED, I am not joking when I say I watched 5 seasons in the space of three weeks. It's so intense and every episode leaves you wanting more and more. If you've never heard of it, it focuses on Olivia Pope who runs a crisis management firm who is also involved with the United States President and the White House. If you like a good drama, this series is for you. 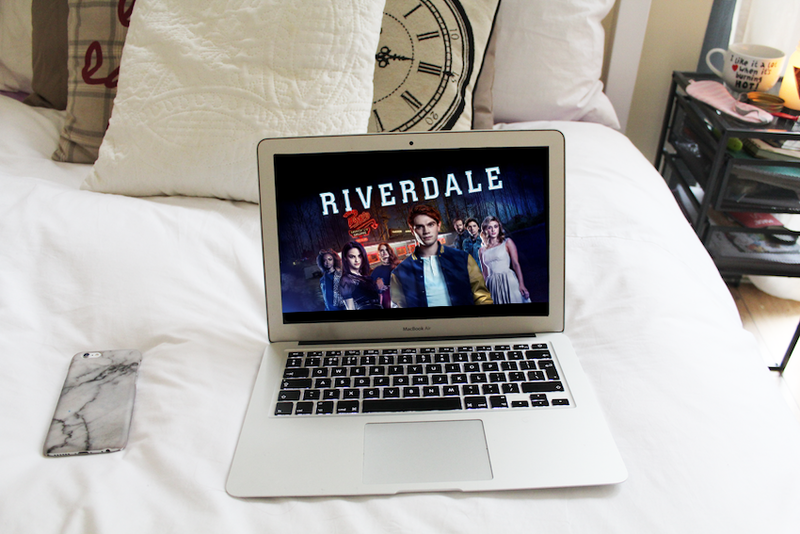 This one started only recently and it reminds me a lot of Pretty Little Liars so if you like PLL, you'll probably like Riverdale too. It is based on the characters by Archie Comics and Cole Sprouse is one of the main characters so that alone made me want to watch it, well that and my friend Kate (@katewilson96 on Instagram) raving about it. It follows a group of teenagers after the sudden death of one of the school's cool kids, hence why it reminds me of PLL so much. I started watching The Catch after it premiered last spring - and to be honest the only reason I watched it was because I love anything Shonda Rhimes makes, that woman is an absolute genius. As expected, I loved the series and it is now one of my favourites. Alice Vaughan is the main character, who runs a private investigation private firm and becomes a victim of fraud after finding out her fiancé isn't who he says it is. I'm not going to say anything else because I don't want to spoil it for you, but trust me it is a great show! What have you been watching recently?